Here is another picture from the new Art of Animation Resort. The sculptures around the Finding Nemo section of the resort were created at a scale that makes the guests the size of Nemo himself. This is just another example how Disney puts you "into the story" that they are telling. I have posted several pictures from this resort and I can't say enough about its theming. Currently only half of the resort has opened, including the Nemo and Cars sections. The Lion King wing is scheduled to open in a few weeks and I'm certainly looking forward to seeing it. This is a shot I took back in June, shortly after the "official" closing of the Magic Kingdom. There were evening Extra Magic Hours that night and the park was open until 2:00 am. I snapped this picture from the second floor of the railroad station at about 2:20. There were very few guests left in the park and it gave me a great opportunity to get capture this rare view of an empty Main Street, USA. This new topiary can be found in the walkway connecting Future World and the World Showcase at Epcot. It is not far from the kiosk that houses the headquarters for Agent P's World Showcase Adventure game. In a few short years, the Phineas and Ferb cartoon has become a huge hit for Disney Channel, and the character presence continues to grow. Merchandise related to the show can be found all over Walt Disney World and several "plush" Perrys have made their way into our house over the past month. I took this shot in the Streets of America section of Hollywood Studios while standing near the Lights, Motors, Action Stunt Show entrance. It is a wide angle view looking down the New York City street. Looking at the right side, you can see how the building fronts are just facades with the steel support frames in plain view. However, when you are walking down the middle of the street, it is amazing how realistic this area feels. You can even hear the sounds of the big city. I had the opportunity to tour the grounds of Disney's Fort Wilderness Resort and Campground on Wednesday. Although I had been to the Hoop De Doo dinner show on many occasions, I had never ventured into the grounds of this very large property. I was very impressed by what I saw. There are wide open spaces in addition to very cozy campsites. There is a large pool area, playgrounds, and tennis courts. There are places to rent bikes, canoes and even golf carts. The comfort stations, which house restrooms, showers and laundry rooms, are as nice as the facilities you might find at a fancy resort. Although I have never camped at Walt Disney World, I would certainly consider it after visiting Fort Wilderness! Last week I had a chance to try out one of the Magic Kingdom's newest additions. Disney's first "queueless" queue opened in Storybook Circus. Of course I'm talking about the new Dumbo attraction. Instead of getting "in line," you now enter the big top where you are given a pager similar to what you'd get at a restaurant. It is labeled "Ticket to the Amazing Dumbo." While waiting to ride Dumbo, the kids can enjoy the large indoor playscape, while parents relax on benches. The best part is that it's air conditioned! When it is your turn to ride, the "ticket" starts to flash and buzz. You then get into a short line which will have you riding Dumbo in about 5 minutes. This new style of waiting seems to work very well and it won't be long before we see it at other attractions. This area in the back of the United Kingdom pavilion in Epcot represents Hyde Park in London. I took this picture in front of the gazebo where the British Revolution rock band plays. This is a great area to get away from the crowds and take a break. When the band is playing, it is a fun spot to listen to some great classic British rock music. This shot of the the Main Street Philharmonic brass section was taken at the beginning of the Magic Kingdom flag retreat ceremony. This daily event is at 5:00 pm and starts with a fanfare from these musicians. It is a moving ceremony that usually features a guest who is either active military or a veteran. The next time you are in the Magic Kingdom around 5:00, I suggest checking out this park tradition. I took this shot last week while riding the Liberty Belle around the Rivers of America. You get some great views of Frontierland and Liberty Square from the top deck of this boat. Thunder Mountain is one of the most popular rides in the Magic Kingdom. It recently reopened after a refurbishment a short time ago. When it opened back on November 15, 1980 it cost about 17 million dollars. This was more than it cost to build the entire Disneyland park back in 1955! I had the opportunity to try out Agent P's World Showcase Adventure in Epcot this past Thursday. It is relatively similar to the old Kim Possible Adventure and uses the same basic technology. Guests are given a Samsung flip phone that guides them through the experience. There are "adventures" available at 7 of the nations in World Showcase. I tried both Mexico and United Kingdom. They were both fun and they each lasted about 20 to 30 minutes. This is a great way to have kids enjoy the World Showcase, especially if they are fans of Phineas and Ferb. I can't wait to take our son to Epcot to try out this new addition to the park. The Cozy Cone Pool is located in the Cars section of the new Art of Animation Resort. Disney cleverly used the cone theme to create these unique "cabanas." It is a great idea to let guests enjoy the pool area without burning their skin off in the intense Florida sun. These cones are first come first serve and only Art of Animation guests have access to the pool. However, this resort is still a fun place to visit even if you aren't staying there. You can enjoy the grounds, gift shop, and food court.....you just can't go swimming. The Walt Disney World Monorail is an attraction in its own right. It's futuristic design makes it one of the most unique modes of transportation. Like the PeopleMover in Tomorrowland, it is quiet and pollution free. It is quiet enough to move through the lobby of the Contemporary Resort without waking up sleeping guests. The monorail will always be one of my favorite aspects of Walt Disney World. Like so many Walt Disney World attractions, the queue at The Seas with Nemo & Friends really sets the mood for the actual ride. It gives you the feel of walking along the seashore as you prepare to dive into "The Big Blue World." This pavilion originally opened without any characters, but the Nemo theme was added a few years back to make it more entertaining for kids. I have said it many times, but the queue for Toy Story Mania is among the best in Walt Disney World. The entire area is themed to make you feel like you are under Andy's bed. Like this picture, the queue is full of giant toys and classic games that could be found in the movie. The Mr. Potato Head animatronic is incredible and actually interacts with the guests. Although the lines are often very long, it is worth going through the normal standby queue at least once at this attraction. This picture was taken in Walt Disney: One Man's Dream at Hollywood Studios. I decided to post this one tonight to honor Disneyland's 57th birthday. Walt's first park opened on July 17, 1955. Many people don't realize that this is the only park that Walt actually saw in operation. He passed away nearly 5 years prior to Walt Disney World's opening in 1971. However, Walt certainly had a major part in the design and planning of his "Florida Project," and I think he'd be very proud to see what it has grown into today. It is pretty amazing to think that the park in California was inspired by Walt's desire to build a place where kids and parents could have fun together. He definitely accomplished that in 1955 and the Disney Company has continued to fulfill Walt's dream with parks around the world. Happy birthday Disneyland! This display was part of the Kilimanjaro Safaris attraction at Animal Kingdom until earlier this year. This audio animatronic elephant went by the name of "Little Red" and was a part of the poacher story told throughout the ride. This area, which can be found toward the end of the attraction, will be home to a new zebra section. Kilimanjaro Safaris is one of the most popular rides in all of Walt Disney World, and is about the same size as the entire Magic Kingdom. Monsters, Inc. Laugh Floor is an often overlooked, but very entertaining show in the Magic Kingdom. It is the first attraction on the right as you enter Tomorrowland from the hub. Similar to "Turtle Talk with Crush" in Epcot, the attraction uses live actors (behind the scenes) who voice the animated characters on the screen. The characters interact with the guests during the show, and usually the crowd is laughing out loud throughout the performance. Several of the actors that work at this attraction were improv comedians at the old Comedy Warehouse over at Pleasure Island. This is a great show to enjoy when the park is hot and crowded. It typically doesn't have long wait times, and it gives you a chance to relax, cool off, and laugh a little. This a unique view of the Tower of Terror at Hollywood Studios. I was actually at Fantasia Gardens Mini Golf when I took this shot. The mini golf course is located a short distance across Buena Vista Drive from the back of Hollywood Studios. The elevator shaft doors open on the opposite side, which faces the rest of the park. I enjoy getting "non traditional" pictures of attractions from unique angles such as this. I couldn't resist snapping this one, as the Tower of Terror is one of my favorites. This video was taken around midnight during "Extra Magic Hours" on June 15th, 2012. This part of the Magic Kingdom is very nice at this hour. The crowds have diminished and the temperature is comfortable. The Carrousel is a classic attraction that has been here since opening day in 1971. It has the distinction of being the oldest attraction in Walt Disney World, as it was built back in 1917 by the Philadelphia Toboggan Company. It looks magnificent at night as it is illuminated by 2,325 light bulbs. This is the pool in the Grandstand area of Saratoga Springs Resort. It is themed to an oval horse racing track complete with water spraying quarter poles. There is a nice, large set of stairs to enter the pool and there is plenty of shallow water for smaller swimmers. Although it isn't the "main" pool at this resort, the Grandstand pool is certainly a good size. This area also contains a hot tub as well as a splash pad for the kids. I took this shot back in June from the outdoor seating area of Pinocchio Village Haus. I had the flash off so there was a long duration shutter speed to let enough light in for this picture. It almost looks as if the 2,325 lights under the canopy of Prince Charming's Regal Carrousel are one big light bulb. This shot also makes the horses look nearly transparent. I enjoy taking unique pictures at the parks, and this one seems to fit into that category. My very first article for Digital Disney World was titled "Podcasts, Podcasts, Podcasts." I posted it back on New Years Day in 2011 and featured this relatively new media that's had a huge impact on the Disney fan community. As I wrote in that article, several of these podcasters were major influences on my decision to start my own blog. I was very excited to see that there were "radio shows" dedicated to Walt Disney World, and that there are so many people, like myself, who have a passion for this place. Now, about a year and a half later, the podcasting phenomenon is bigger than ever. Although not everyone listens to podcasts, most people have at least heard about them. I recently read an article that talks about the major impact this media has had on live talk radio. In all honesty, since I started listening to podcasts, I rarely tune in talk radio stations anymore. There are podcasts on nearly any subject you can think of, and you don't have to listen to commercials. It makes you wonder how much longer talk radio will survive. Most people (including my mom) now own either an iPhone or at least some form of iPod, and just about every new car comes with an iPod hookup. Podcasts are available to download from the iTunes store and can be listened to on just about any portable Apple device. 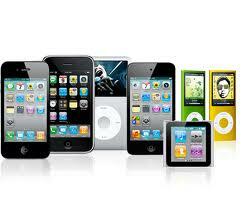 You can even listen to them on many non-Apple devices. 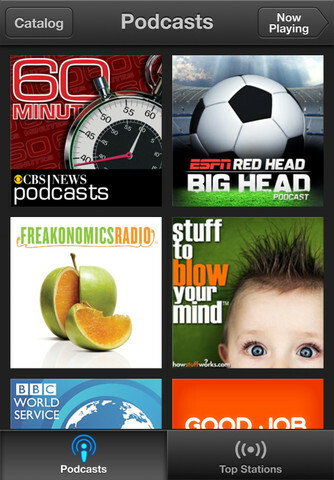 Up until now, you'd access your downloaded podcasts through the built-in "music" app and listen through there. That has worked ok, but two weeks ago Apple released a dedicated podcast app that gives you a better overall experience. Although it has been getting mixed reviews, I have been using it quite a bit and like the way it is set up. "Podcasts" is a free app so there is no risk in giving it a try. When you first open the "Podcasts" app, it will show you album art for the shows that are already downloaded on your device. You simply tap on the show you want to access and it takes you right to the entire catalog of episodes. This is one of my favorite features of this app as compared to using the old "music" app. In the old days you'd have to go into iTunes to search for episodes, but now this is included in the "Podcasts" app. You can instantly "stream" any show you'd like or click on the download arrow to import it to your device. There is also a little "i" icon which takes you to an information page about the episode. At the bottom of the page, you will find a "Top Stations" button that allows you to search through the most popular podcasts in many different categories. Once you start playing a podcast, you will have access to a slew of controls that allow you to move around the recording as you please. The main "listening" page contains the standard play/pause, fast forward, and reverse buttons. There is also a skip backwards 10 seconds button, which I absolutely love. There are many times that I am listening to a podcast and I catch myself saying, "What did he just say?" Now I just tap on that button and I hear the last ten seconds once again. In addition to the backwards button, there is a skip ahead 30 seconds button. Finally, there is a standard volume slider at the bottom. Most of the "listening" page is taken up by album art. However, when you tap on the screen, the album art disappears to reveal some additional and interesting features. First of all, the screen now looks like an old "reel to reel" tape recorder. There is a toggle switch in the middle that can be pointed at a turtle or a rabbit, so you can listen in slow motion or fast forward. To the left of that switch is a "share" button that allows you to email, tweet, or text message the episode to a friend. 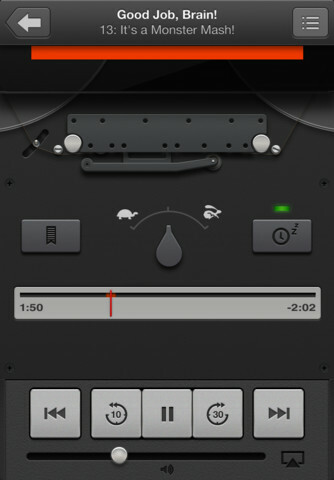 To the right of the switch is a "sleep" button that lets you set a timer that will turn off the podcast if you plan to fall asleep while listening. This function is definitely not recommended when listening in a car! Finally, there is the typical "scrubbing" feature where you can drag the play marker to any spot on the timeline. To summarize, I have enjoyed using the "Podcasts" app so far. Like most new Apple creations, it will probably be tweaked and fine tuned as time goes on. If you are a fan of podcasts, I would certainly suggest giving this app a try. If you still haven't jumped on the Disney podcast bandwagon yet, I would recommend going back to my very first article to learn about some of my favorites. Listening to podcasts really is a great way to "stay connected" to Walt Disney World when you can't be there yourself. Ok, so it isn't like I go around taking pictures of bathrooms in the Magic Kingdom, but this one is unique. First of all, it was well after midnight so there was nobody in this particular men's room to report me as "creepy." This is the newest set of restrooms in the park, and they are located in the train station of the Storybook Circus section of Fantasyland. The building is shaped like a roundhouse and you can see that Disney stays true to the "story" by putting train tracks into the tile of the floor. Most Disney restrooms are clean, but this one was exceptional. I know that I typically recommend attractions and restaurants, but in this post I'm actually suggesting that you try out this restroom the next time you're in Fantasyland and nature calls. 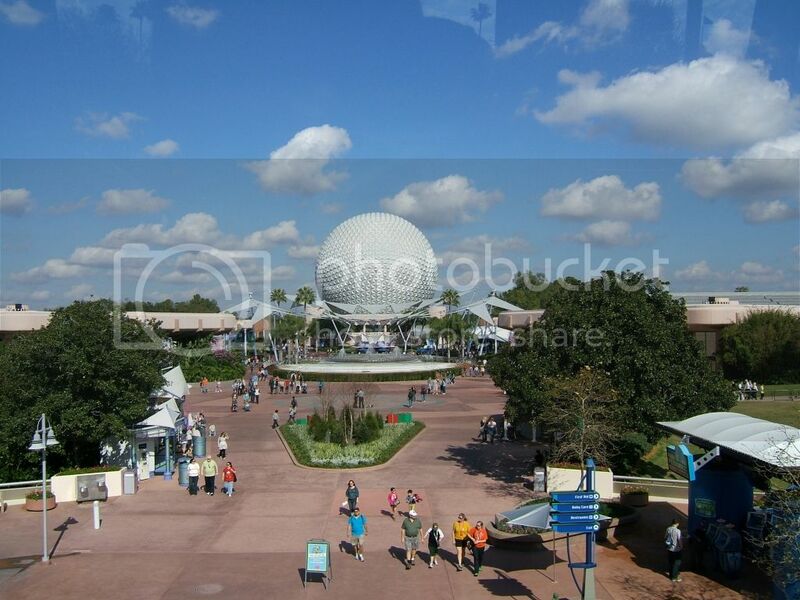 I have been doing a lot of Epcot research lately for my guided tours business. I learned that this archway in Germany wasn't originally going to be home to a "snacks" area. For the first few years after the park opened, there were large wooden doors in this space. It marked the entrance area of what was supposed to be the "Rhine River Cruise." It was going to be a boat ride that featured the cultural heritage of Germany's past and highlights of its present. Unfortunately, this attraction was shelved and will probably never be built. However, this area is now home to Sommerfest where you can grab bratwurst for lunch and some delicious apple strudel for dessert. I snapped this shot just before enjoying a coffee malt at Beaches and Cream last week. This "soda shop" is located at the Beach Club Resort and serves lunch and dinner, as well as a variety of ice cream desserts. It is best known for the Kitchen Sink, which contains eight scoops of ice cream served with all the toppings in the house and a whole can of whipped cream. I saw one being served to a family while I was there, and they dimmed the lights and sirens played as it was brought to their table. Even if you don't want a whole kitchen sink, Beaches and Cream is a great place to grab an ice cream cone or a milkshake on a hot day. My son and I had an opportunity to play a round of mini golf at Fantasia Gardens for the first time on July 5th. We played the "Fairways" course, which is the longest mini golf course in the world. Some of the holes are over 100 feet long. It is a very unique experience as the course has a par of 72, which is similar to most "real" golf courses. As you can see in this picture, this does not look or play like a normal mini golf course. Although it has a "Fantasia" theme, you aren't going to find the props that are typically associated with mini golf. If you are looking for that type of experience, the adjacent "Gardens" course will be more to your liking. Fantasia Gardens is located right next to the Walt Disney World Swan and Dolphin Resorts. I took this shot while giving a tour on July 4th. I was sitting at a table on the second floor of the Columbia Harbour House overlooking Liberty Square. I had never seen such heavy crowds in 35 years of going to the Magic Kingdom. Throughout much of the day there were lines of well over two hours at the major attractions. At one point, Space Mountain had a posted wait time of 180 minutes! However, through careful planning and strategizing, my guests never waited more than 20 minutes for any attraction on that day. They seemed quite pleased with my services! The Art of Animation Resort opened recently and it boasts the largest pool at any Disney World resort. It is also unique in that it has underwater speakers allowing swimmers to hear music and voices from Finding Nemo. I was lucky enough to get a tour of the resort a few weeks ago when I snapped this shot. This "mask" has the first words that Dory spoke in the movie. The other side has the pool rules. The Main Street Confectionery is one of the first shops you encounter as you enter the Magic Kingdom. There are some delicious treats served here, and it is fun to watch the cast members create them, as seen in this picture. It is hard to pass by this spot without stopping in for something sweet. This shot, looking toward World Showcase Lagoon, was taken from the Epcot monorail. When you arrive at Epcot by monorail you get a nice preview of Future World. This picture was snapped just after I passed Test Track. For a brief moment you can catch a glimpse of the American Adventure pavilion. This is the brand new Casey Jr. Splash 'N' Soak Station in the Storybook Circus area of the Magic Kingdom. It is a great place for the kids to run around and cool off. However, if you plan on spending time playing in this spot, you may want to bring a change of clothes for your kids, as they will get "soaked!" This foyer is located toward the back of the Grand Floridian lobby. It is right in front of the Grand Floridian cafe, which is a nice table service restaurant. If you walk out the doors from this foyer, you will find some of the nicest grounds of any Disney resort. Even if you aren't staying here, it is always nice to visit the Grand Floridian. It is only a short monorail ride from the Magic Kingdom. July 1st is significant in Walt Disney World history as many "openings" took place on this day. This is the first time that I am highlighting more than one occasion in my "On This Date" series of articles. However, too much happened on July 1st over the past 40 years, and I didn't want to omit any of these events. 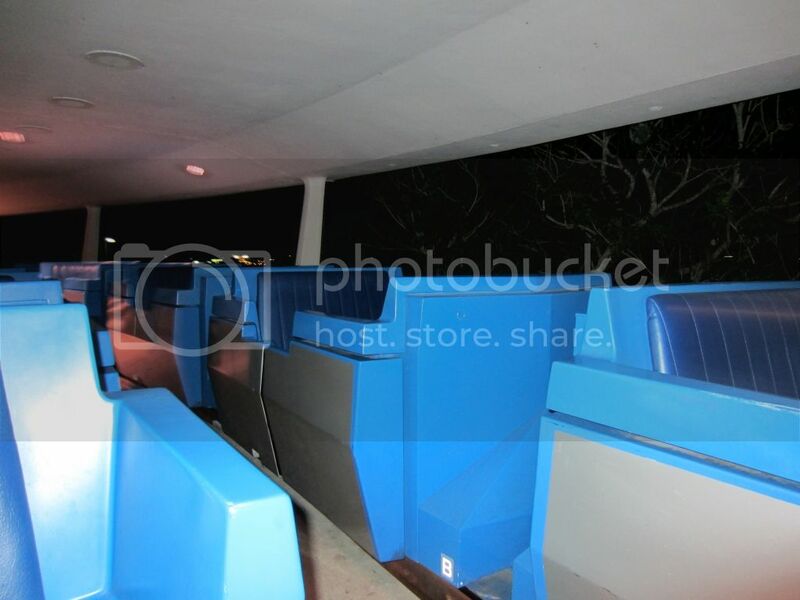 First and foremost, the WEDWay PeopleMover debuted in the Magic Kingdom on July 1st, 1975. This attraction is my dad's favorite so we rode it many times on each of our family trips when I was a kid. It has become one of my favorites in recent years, as it is a great ride to "relax" on for ten minutes while enjoying the sites of Tomorrowland. It was well ahead of its time in 1975 and is still considered high-tech even today. It was one of the first uses of linear induction technology in that it utilizes a series of electromagnets to propel the five-car trains along a mile long track. It is also environmentally friendly as it's both quiet and pollution free. The name "WEDWay" came from WED Enterprises, which was the original name of Disney Imagineering. W.E.D. are famous initials as they belong to Walter Elias Disney. When Tomorrowland was overhauled in 1994, the WEDWay PeopleMover became the Tomorrowland Transit Authority. In 2010, Disney did something that pleased us nostalgics by once again renaming the attraction. It is now known as the Tomorrowland Transit Authority PeopleMover. To most long- time fans, this fun and relaxing attraction will always be known as simply "The PeopleMover." 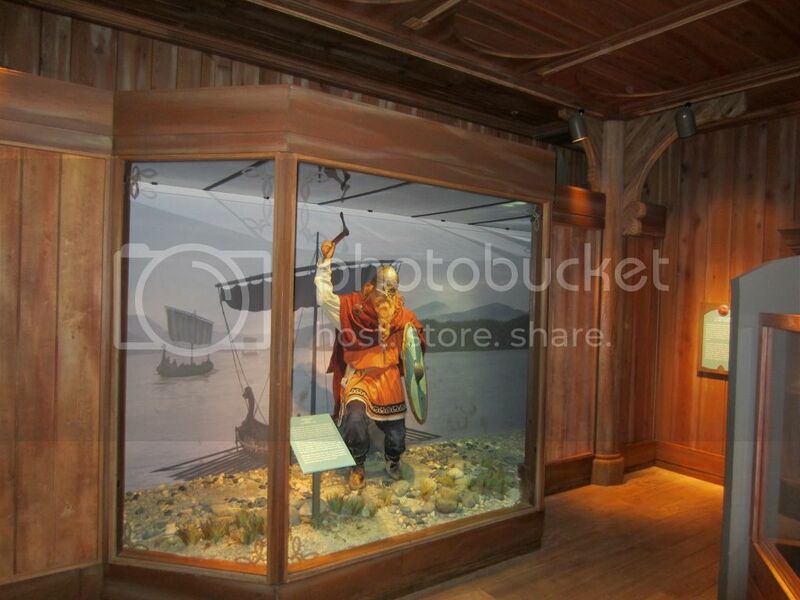 The next big event to take place on July 1st occurred in 1988 when the Norway pavilion officially opened in Epcot. Although it "soft opened" to the public in May, it was dedicated by Crown Prince Harald in a ceremony that was broadcast live to Norway on this date. Even though the event took place 24 years ago, this is still the most recent nation to open in Epcot's World Showcase. The 58,000 square foot pavilion is home to a fun boat ride, an excellent restaurant where you can dine with princesses, and a great little bakery that is home to one of my favorite Epcot snacks. The next time you are near the Kringla Bakeri I highly recommend trying the lefse, which is a delicious Norwegian flatbread rolled with butter, cinnamon and sugar. July 1, 1994 marks a major change to an area of Epcot. Innoventions East and West opened, replacing the original CommuniCore pavilions. Although they used the same buildings, all of the exhibits were new. Innoventions primarily features walk-thru attractions that are focused on using technological advancements in our everyday lives. Although there were some interesting and fun aspects to the original CommuniCore, by 1994 these buildings were in need of serious updating. There are about six or seven exhibits in each pavilion and they are replaced with new ones every so often. Innoventions is a great place to spend time when you are looking to get out of the Florida heat or if it is a rainy day. Last, but not least, July 1st marks the opening of three Disney World resort hotels. In 1996 Disney's Boardwalk Resort opened on the shore of Crescent Lake. In addition to the hotel, the resort's Atlantic Dance Nightclub, ESPN Club, Boardwalk Bakery and Spoodles Restaurant debuted as well. Exactly six years later, in 2002, the Beach Club Villas opened as the Disney Vacation Club addition to the Beach Club Resort. Finally, the last major event to take place on July 1st occurred in 2007. It was more of a transformation than an opening. The 5th and 6th floors of the Animal Kingdom Lodge became the Animal Kingdom Villas, which was the first phase of DVC to be added to this property. Other than October 1st, which marked the openings of both the Magic Kingdom and Epcot, July 1st has to be the second most significant date in the history of Walt Disney World. With the openings of the PeopleMover, the Norway Pavilion, Innoventions and three resort hotels, Disney made this a date to remember. It has to make you wonder if they have any other plans for July 1st in the future. Only time will tell. The Flame Tree Barbecue is a decent quick service restaurant in Animal Kingdom. It specializes in ribs and chicken and is located on Discovery Island. Although the food is good, the best feature of this dining location is the outdoor seating area. There are tables located on several different levels with a lot of shade and some spectacular views. You can sit right on the edge of the Discovery River where you will have an amazing view of Expedition Everest. I highly recommend Flame Tree Barbecue on your next visit to Animal Kingdom. Even if you don't plan on having a meal here, it is a great place to take a break and enjoy a cold beverage.